Carbon pollution harms human health and the environment and is the greatest contributor to climate change. Power plants are the largest sources of carbon pollution. 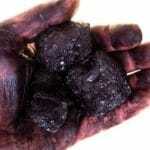 Coal burning produces the greatest amount of power plant pollution. Coal plants are financial liabilities, as well. So utilities across this nation and world are closing coal plants or converting to different fuels for cleaner, affordable electricity generation. Sadly, Idaho’s largest electric utility is refusing to embrace the future.